What services does La Frontera provide? La Frontera provides behavioral health services to children, adults, and families. An array of outpatient and inpatient services are available, including but not limited to counseling, psychiatric services, substance abuse treatment, trauma healing, crisis intervention, supportive services, and services for adults with a serious mental illness. Services vary in type and level of intensity, depending on the person’s needs and strengths. 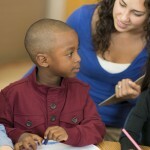 Education and prevention services are also available. For a detailed list of services provided, click on the Services link. How much do services cost at La Frontera? The cost of services at La Frontera is affected by several factors, including the type of service requested, the individual’s income and number of dependents, insurance coverage, and eligibility for governmental assistance, among others. Relying on numerous funding sources, La Frontera makes every effort to provide affordable services to its clientele. The agency accepts individuals enrolled in the Arizona Health Care Cost Containment System (AHCCCS) and some other insurance plans. Co-pays, when applicable, are based on a sliding-fee scale. Service eligibility is determined by the funding source. Not every individual is eligible for every service. How does someone obtain services at La Frontera? 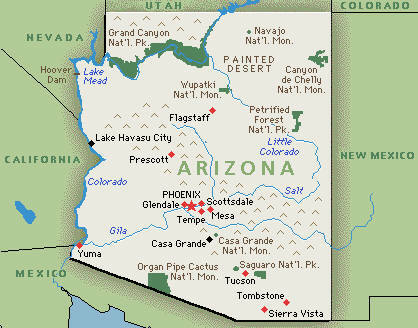 La Frontera Arizona has several facilities located in Pima, Maricopa, and Pinal counties; agency headquarters are located in South Tucson. Intake appointments can be scheduled via telephone, in person, or by writing to the Intake Department at one of the addresses below. Appointments are available Monday through Friday. Tucson—Phone: (520) 884-9920 [adults and children], (520) 296-3296 [adults], or (520) 206-8600 [children] Address: 502 W. 29th St., Tucson, AZ 85713. What should I bring to the intake appointment? Individuals who are enrolled with AHCCCS need to bring personal identification in the form of a State I.D., birth certificate, or a piece of mail received at the person’s address. For children’s services, please be prepared to provide court documentation regarding guardianship and release of information to other parties, if applicable. 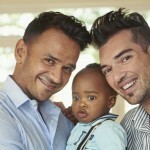 Official proof of guardianship must also be provided for adults who accompany non-biological or non-adoptive children. Individuals who are not enrolled with AHCCCS need to bring the above documents as well as proof of any third-party insurance, proof of household income (current month and previous month), and proof of medical bills or child support payments. How are specific services identified and accessed by an individual? The individual meets with his or her clinical liaison to discuss available service options and to determine which services are appropriate to meet the client’s needs. If individuals are experiencing a crisis, our Crisis Hotline can be accessed 24 hours/day, 365 days/year, by calling 1-800-273-8255. Individuals in Pima County may also call the Community-wide Crisis Line, 622-6000 or 1-800-796-6762 (toll free). I’ve heard that La Frontera provides culturally competent care. What does that mean? La Frontera is committed to providing services that respect the client’s cultural background, including his or her race and ethnicity, family composition, religious beliefs, age, sexual orientation, and gender identity, among other factors. Whenever possible, services are provided in the client’s preferred language. American Sign Language (ASL) and oral interpreter services are available upon request and at no charge to the client. Please request this service, if needed, when scheduling an appointment. Vital documents are available in Spanish; additional documents will be translated upon request. Documents can also be translated into Braille as needed. Will my family be involved in my services? La Frontera believes that support in the form of “family” (as defined by the client) and significant others is extremely beneficial to the recovery from and prevention of mental health and substance abuse problems. 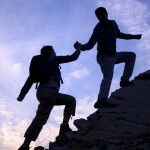 The client’s support system will be encouraged to participate in services if the client so chooses. The client will meet with his or her clinical liaison to determine who is to be included. Are La Frontera’s services confidential? Please be aware that clinical staff may listen to information about you volunteered by an outside source; however, information will not be shared with that source unless you have signed a release. How do I know if I have a problem with drug use? If your use of alcohol or other drugs creates tension within your family, or interferes with your ability to drive or go to your job, you may want to consider getting a professional assessment. If you use your drug of choice daily this could be another sign that you may need help for your use. How do I know if I would benefit from La Frontera’s services? If you are experiencing behavioral health or related issues that you have not been able to resolve on your own, you could potentially benefit from talking with a professional. 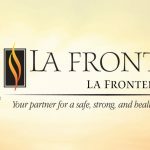 La Frontera has helped people struggling with a variety of concerns, including marriage and relationship problems, parenting issues, anxiety or sadness/depression, difficulty in school, run-ins with police, problems stemming from drug or alcohol use, and anger management, among others.